Content has become the marketing battleground online, but knowing what works with your target audience is key to success. BuzzSumo hopes to help content marketers in that regard with new paid plans for its service that exposes the best-performing content and the most influential people around a wide range of topics. If you want to see what types of infographic about e-commerce get shared the most, which smartphone giveaways perform the best, who to approach to help promote your new video on gardening – or anything else, BuzzSumo is well worth digging into. 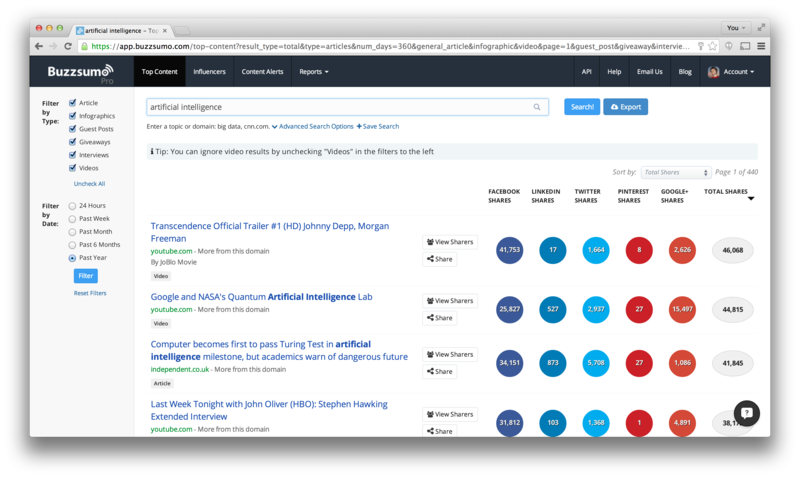 It also offers content analysis reports and you can set up alerts for keywords, domains, authors and links. Pricing starts at $99 per month, with higher price points based on how many users, alerts and the like you need on your account.